Breakfast is served Saturday from 7:00 a.m. to 10:00 a.m.
Sunday 8:00 a.m. to 10:00 a.m. Lunch and Supper is served everyday Monday thru Saturday 11:00 a.m. to 7:00 p.m.
Sunday 11:00 a.m to 4:00 pm. 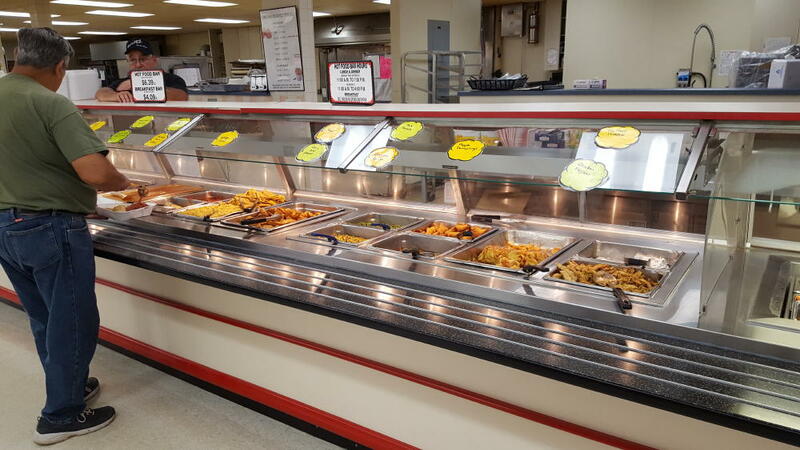 We offer a wide variety of items on our hot food bar. We have home cooked meals, fried chicken, baked chicken, storemade macaroni & cheese, different types of potatoes, cooked veggies, and desserts. On the first Friday of every month we have Hog Maw and the last Friday of every month we have Saylor's Wing Thing. Our wing thing features wings in a variety of different sauces. Check out our daily entrees located in our AD ! Make sure to check out our homemade stromboli along with our rotisserie chicken and our half BBQ chickens. We also have a Grab-n-Go section across from the salad bar for busy moms or someone who wants a home cooked meal without all the fuss. We sell a variety of packed heat & serve meals and soups. Are you having a family get together or business meeting ? Call us and we can prepare your meals for you! Come in and Taste our Famous Fried Chicken. We take fresh chicken never frozen and hand bread it to perfection. Pick up a few pieces or a bucket ! Chicken Bucket Prices- "Chicken Only"
Sweet Tooth? We have soft serve ice cream available March - November. Stop in and try one of our shakes, sundaes, soda floats or different varieties of twists in a dish or cone from our flavor burst system. We also have pints and quarts so you can take your favorite flavor home with you.